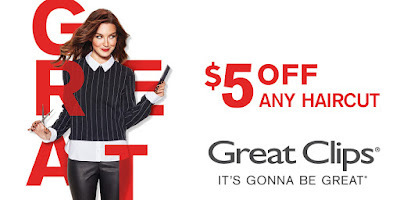 Savvy Spending: Great Clips: $5 off any Haircut coupon! Great Clips: $5 off any Haircut coupon! Great Clips has a coupon for $5 off your next haircut at participating Great Clips Salons valid through May 18th.